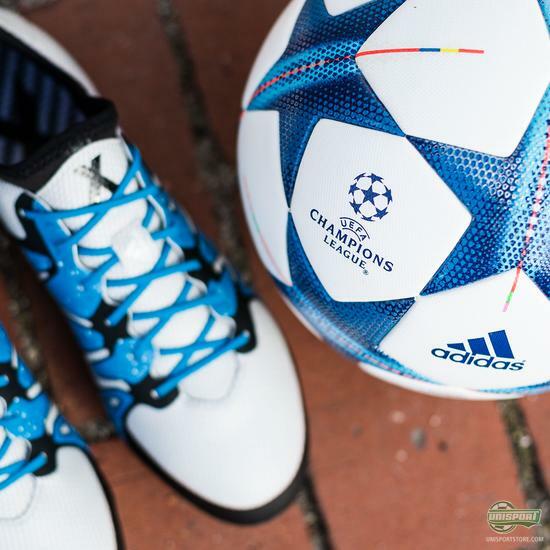 The adidas X15 & Champions League football - A match made in heaven! I’m gonna start things off here and throw it out there that this is by a mile the best adidas X15 colourway so far. It’s just an absolutely perfect mix of colours, which together make for an ultra stylish design. Now if you like the X15 boots design, well then chances are that you probably feel pretty good about the new Champions League ball too, because both bear a striking resemblance. Built for Europe's finest players the new Champions League ball is guaranteed to be a part of some of the greatest goals this season. Whether or not any of the Champions League players will pick up the new adidas X15 boots is hard to say, but I refuse to believe I’m the only one as excited about the new boot colourway. I mean come on, imagine Bale in the new blue Real Madrid adidas third-shirt, which is even intended for use in the Champions League, with these boots to match. 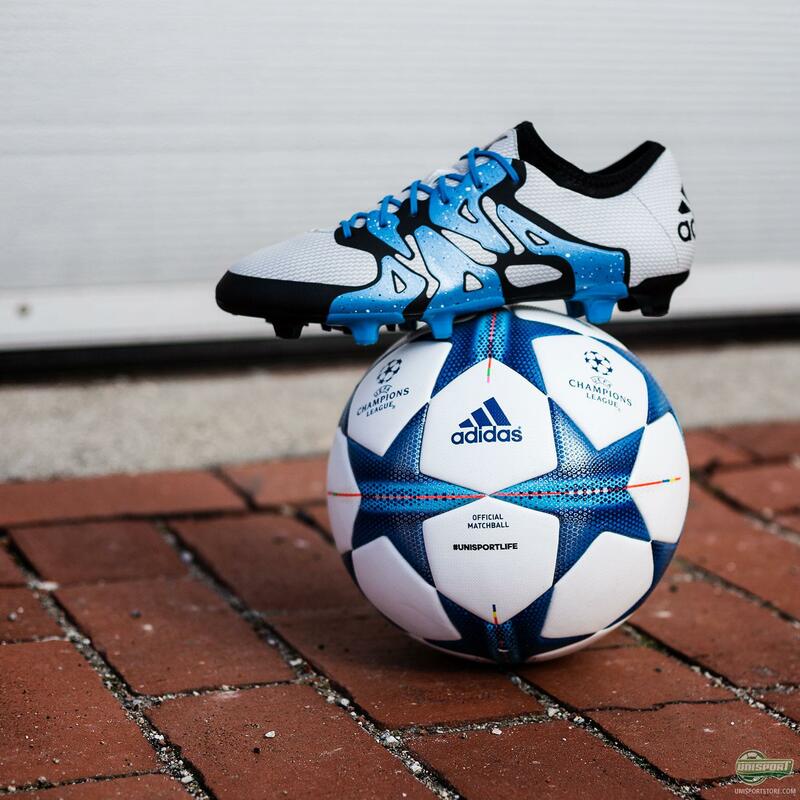 It’s the perfect setup, so make it happen Gareth! 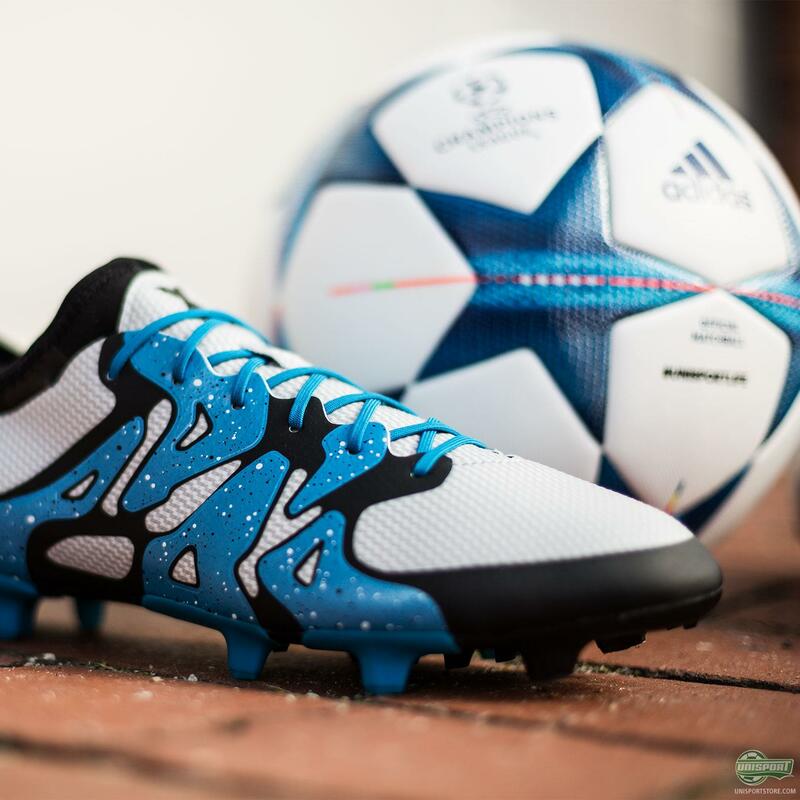 The new White/Solar Blue/Black colourway is a Unisport exclusive boot and you can get your hands on it right here. 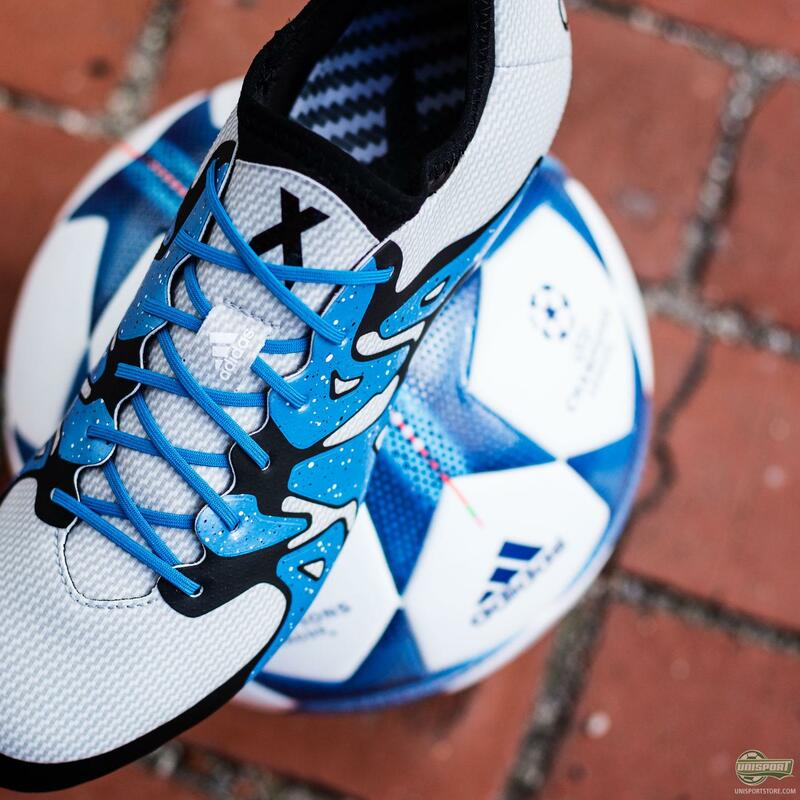 As you have probably gathered by now I’m a serious fan of the new adidas X15. 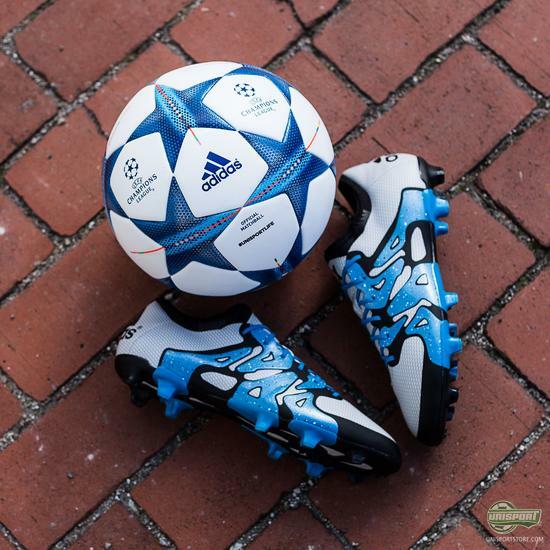 I didn’t think I was particularly a fan of the new Champions League ball before, because it’s just a ball really, but seeing as though they match I can only really say I love them both. 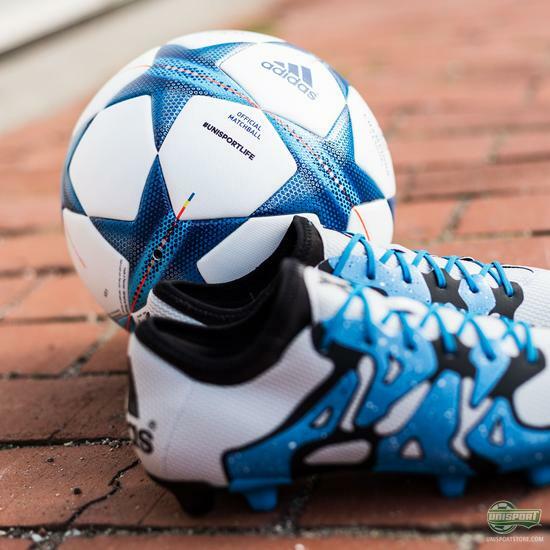 What do you think about the boot - are you a fan too?